Obituary for Virginia McKay | Bill Head Funeral Homes and Crematory, Inc.
Virginia Parham McKay, age 88, of Lilburn, passed away on Tuesday, January 15, 2018. Mrs. McKay was born on November 12, 1930 outside of Franklin, TN in the village of Leiper’s Fork, to the late John Bunyan and Bonnie Parham. She was married to Porter McKay for 59 years. Virginia and Porter moved to Atlanta in 1962, opening Textile Warehouse in Decatur. She worked at and co-owned the store many years. 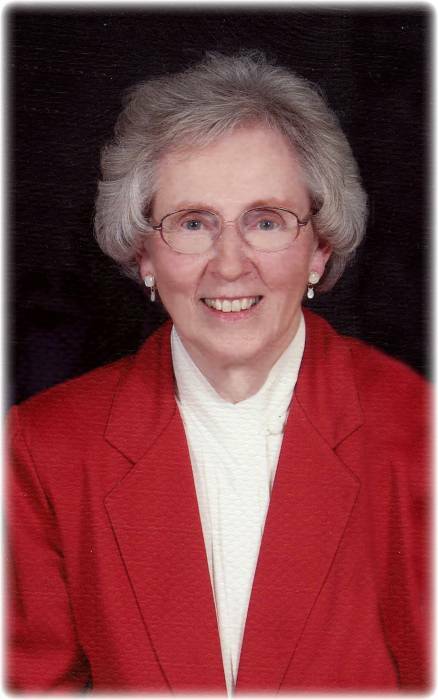 Virginia was a long-time volunteer with Meals on Wheels and coordinated the visitation ministry at her church. She was a faithful member of Decatur/Northlake church of Christ and Snellville church of Christ. She was preceded in death by her husband, Porter McKay, and brother and sister-in-law, Joe and Jane Parham, and brothers-in law, George Bullock and Joe Krupski. She is survived by her son and daughter-in-law, Andy & Heidi McKay; daughters and sons-in-law, Laurie and Roy Gunter and Mollie and Doug Childs; grandchildren, Stephanie (Keith) Rein, Luke McKay, Seth (Lizzie) McKay, Jesse McKay, Melissa Gunter, Rebecca Gunter, Sarah Gunter, Sam Childs and Ginnie Childs; sisters and brother-in-law, Nancy Bullock, Elaine (Richard) Thompson and Amelia Krupski. In lieu of flowers, please consider donating to Georgia Agape, 3094 Mercer University Drive, Suite 200, Atlanta, GA 30341. Funeral services will be held at 2:00 pm on Saturday, January 19, 2019 at Bill Head Funeral Home, Lilburn/Tucker Chapel, with Minister Ike Reeser officiating. Interment will follow in Floral Hills Memory Gardens in Tucker. The family will receive friends Saturday from 1:00 - 2:00 pm at Bill Head Funeral Homes and Crematory, Lilburn/Tucker Chapel, (770) 564-2726.